UK wheat has continued to flow to the near continent as end users look for alternatives to poor quality French supplies. Disappointing wheat yields and higher domestic demand has reduced the UK’s exportable surplus by 50 per cent compared with last year. But the quality of the crop had provided exporters some opportunities, according to Gleadell trading director Jonathon Lane. “The UK has sold wheat again in tenders to Algeria and the much-reduced crop and mycotoxin issues in France have also provided some new market outlets for UK wheat to the near continent,” he said. 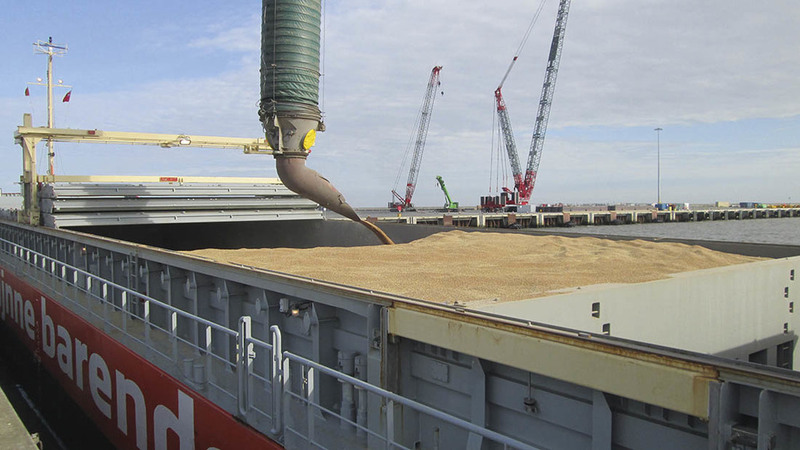 Gleadell recently loaded the MV Lady Astrid with 3000 tonnes of wheat destined for direct delivery inside mainland Europe and Mr Lane said it was one of many coaster sized vessels it had shipped this season. “The weaker pound has also helped the UK ethanol sector and CropEnergies’ Teesport plant has run since July, adding approximately 650,000t of wheat demand to the market,” he added. Exports were mainly carried out during the first half of the campaign. Mr Lane said the internal market was now priced at a level which will protect supply and prevent large scale exports. Mr Lane expected import volumes would be similar to last year. “This higher domestic demand and lower production will see the UK’s stock situation fall back from historically higher levels back to a more normal 1.8 million tonnes, but will leave the UK with little room for error with next year’s harvest,” he added.